Having an effective and optimized web presence requires much more than just a website in today s competitive business atmosphere. To stand out from the competition, Singapore business owners can now utilize the web design company in Singapore, MediaPlus Digital Pte Ltd to help ensure their digital marketing needs are met. Are you ready to increase your web presence and ensure your site is available 24 hours a day, seven days a week? If so, it s our services that you are searching for, stated MediaPlus Digital Pte Ltd spokesperson Jamie. We offer web design in Singapore that meets and exceeds expectations of clients and ensures you get the results you are searching for. We can help ensure that your website features the aesthetics that are going to encourage conversions, at an affordable place. We take care of everything and you reap all the amazing results. MediaPlus Digital Pte Ltd is a top, in-house web design service, and development agency in Singapore, with over a decade of experience. The forte of the professionals at this company lies in offering clients the most effective advice in website design service, brand positioning, creative direction, and user experience. With the help of this superior digital marketing agency, clients can enjoy a pleasant and purposeful experience when developing their own web assets. Don t trust your website to just any marketing agency, continued Jamie. Doing so is going to leave you with subpar results that don t help you reach the goals you have. Our team is dedicated to ensuring the desired results by providing professional services that are necessary for success. Learn more about the services offered by MediaPlus Digital Pte Ltd by visiting the company s website or by calling the professional staff. 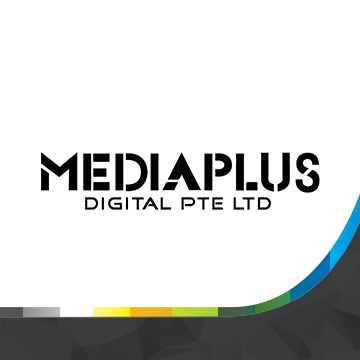 MediaPlus Digital Pte Ltd is made up of a team of dedicated professionals who offer a wide array of solutions, including SMM, SEO, SEM, digital marketing, website optimization, ecommerce web development, and web design services. The ultimate goal of this company is to help boost their client s inquiries, acquisitions, and conversions. The forte of this company helps clients get what they need for their web presence while giving them a pleasant experience. With a dedication to ensuring a client s success, this company works diligently to continually update and innovate their solutions to meet the latest needs of each client served.